How do you rattle your rockets? First get some rockets. President Dmitriy Medvedev’s address last week underscored the extent to which Russian foreign and defense policies are hampered by the condition of the OPK and its shortage of production capacity. Medvedev’s description of Russian steps in response to U.S. and NATO missile defense in Europe certainly didn’t surprise anyone, though it may have forced them to conclude the U.S.-Russian “reset” is wearing thin. To refresh the memory, the first four were (1) put the Kaliningrad BMEW radar into service; (2) reinforce the defense of SYaS with VVKO; (3) equip strategic ballistic missile warheads with capabilities to overcome MD; and (4) develop measures to disrupt MD command and control. And, ultimately, of course, Medvedev also noted the dispute over MD could lead Russia to withdraw from new START. Russianforces.org was first to write that Medvedev’s enumerated steps represented nothing more militarily than what Moscow already intends to do, with or without U.S. missile defense in Europe. So, Iskander deployments, including probably in Kaliningrad, will happen anyway, regardless of MD, when Moscow is able to produce the missiles. The 500-km Iskander (SS-26 / STONE), always advertised with significant capabilities to defeat MD, was accepted in 2006. But the Russian Army didn’t complete formation of the Western MD Iskander brigade or Southern MD battalion until the middle of last month, according to ITAR-TASS. The army expects to get a full brigade of 12 launchers each year until 2020. But Iskanders still aren’t rolling off the line like sausages. 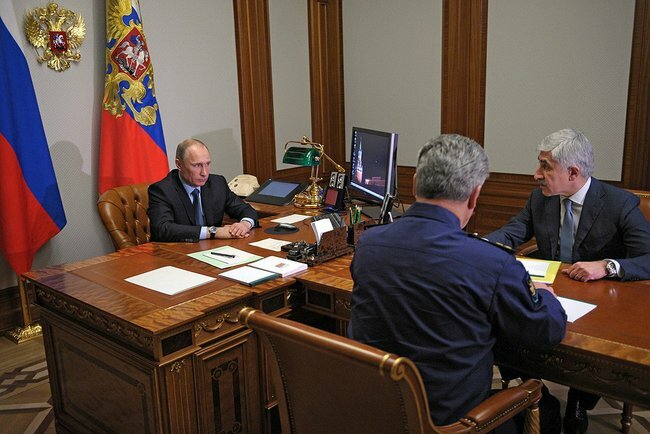 This spring Prime Minister Putin promised to double missile output, including from Votkinsk, starting in 2013, and pledged billions of rubles to support producers. In early 2010, Kommersant wrote about Votkinsk overloaded with orders, trying to modernize shops to produce Iskander. Votkinsk and Iskander are, by the way, not the only defense-industrial problem relative to countering MD. Nezavisimaya gazeta pointed out VVKO will need lots of new S-400 and S-500 systems (and factories to produce them) to protect Russia’s SYaS. But we digress . . . .
What do defense commentators think about Medvedev’s statement and Iskanders? 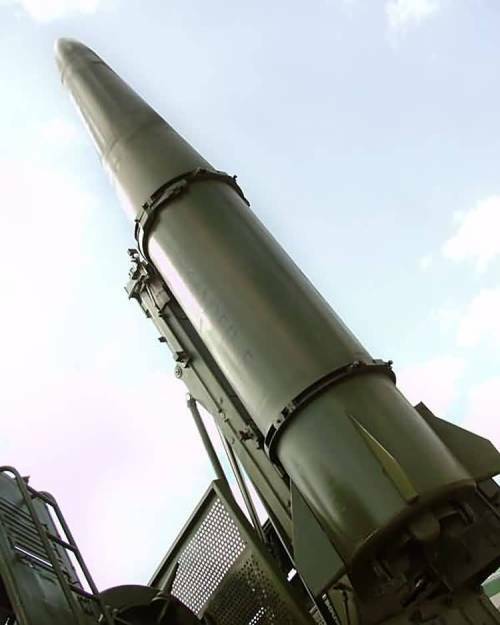 Aleksey Arbatov says relatively short-range missiles don’t scare the Americans, but could spoil relations with Poland and Romania. One supposes rather than driving a wedge between the U.S. and MD-host countries, Russian threats might reaffirm the wisdom of having a tangible U.S. presence on their territory. According to Mil.ru, General Staff Chief, Army General Nikolay Makarov reported to the Public Chamber today as part of its hearings on “The New Profile of the Russian Army: Results, Problems, Prospects.” Here’s a sampling of what he discussed. According to ITAR-TASS, Makarov said there are 186,400 contract servicemen today, and there will be 425,000 in 2016. Recruiters will work throughout Russia starting next year. Prospective contractees will train for three months before signing contracts. Minimum pay will be 23,000 rubles. Makarov said 2012 will be a test year, and from 2013, 50,000 contractees will be signed up each year. He said Russia’s current mobilization reserve consists of 700,000 ex-conscripts. Makarov suggested increasing the prestige of military service through a veteran’s preference system. Former soldiers and officers would enjoy a priority in hiring for government service, according to RIA Novosti. 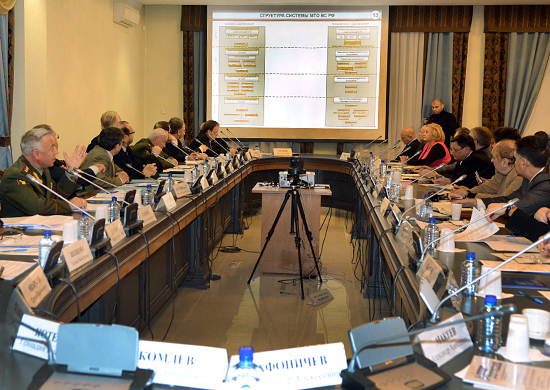 ITAR-TASS quoted Makarov on cuts in military command and control organs. He indicated they’ve been cut by a factor of four — from 51,000 to 13,435 personnel, and this process continues. One-third of C2 organs were disbanded, and the rest reduced in size several times. He indicated that, when the Defense Ministry’s central apparatus numbered 51,000, it occupied more than 20 buildings in Moscow. The apparat is now in a single building. Other buildings were sold off. But Makarov assured his audience the effectiveness of C2 hasn’t declined because of the reductions. Regarding the new pay system for officers, RIA Novosti wrote that Makarov said higher pay basically implements the old Order No. 400 on premium pay, but officers will still have the chance to receive extra “stimulus” pay under the new system. ITAR-TASS printed Makarov’s figures on efforts to get rid of old ammunition. According to the General Staff Chief, at the start of the year, Russia had 119.5 million tons of old munitions to destroy, but now only 7 million. Less than one percent could be dismantled; the vast majority had to be blown up. Makarov indicated the number of ammunition storage sites will drop from 161 at present to about 30. Makarov defended his past criticism of domestic weapons and equipment by giving more examples where foreign systems are superior to Russian ones (i.e. tanks, MLRS, satellites), according to ITAR-TASS. The general argued for increasing the range and service life of systems as well as providing better protection for soldiers operating them. RIA Novosti reported Makarov intends to continue pushing for lower prices on arms and equipment the military’s buying. He intimated there will be a “specialized department” for negotiating with producers. He claimed shipbuilding contracts with OSK were concluded on the Defense Ministry’s terms. He added that the military has given Almaz-Antey two years to build two new factories to produce the S-500, according to RIA Novosti. ITAR-TASS relayed Makarov’s remarks on Russia’s airfields. Makarov indicated Russia has cut from 357 military airfields down to 26 that he describes as meeting world standards. Russia has eight air bases. He said pilot flight hours are at 90 per year. He said it’s planned to increase them to 130 next year, and then to 220 at some point. Friday’s Nezavisimoye voyennoye obozreniye editorial assures readers the end of S-300PS production — combined with a lack of contracts for the S-400 — won’t bring the apocalypse or, at least, a threat to Russia’s administrative and industrial heartland. Like others, NVO is wrestling with the meaning of former Almaz-Antey General Director Igor Ashurbeyli’s most recent words. Despite the sturm und drang over the S-300’s demise elsewhere in the media, NVO takes the rational tack. There’s nothing new in Ashurbeyli’s statements. Everything’s normal, it says. Almaz-Antey could have upgraded the S-300P Favorit forever, but proposed S-500 development instead. It’s natural and sensible to draw S-300 production down to a close. And, after all, the S-400 is entering service, and the Vityaz and S-500 are in development. The medium-range Vityaz will replace the S-300PS. Morfey’s in development for short-range protection of the most important targets. And Ashurbeyli says “it’s proposed” that the S-500 will be complete in 2015. But, says NVO, they could go forward with the S-400’s short- and medium-range missiles, couldn’t they? Delays in the S-400 contract threaten to cause failures in establishing the country’s defenses. With a two-year production cycle, and no contracts in 2011, it’s naive to expect the appearance of new systems in 2013, according to NVO’s editors. What’s more, there’s no absolute certainty that Vityaz and Morfey will succeed in this time frame, or that some kind of real basis for developing the S-500 will be laid.